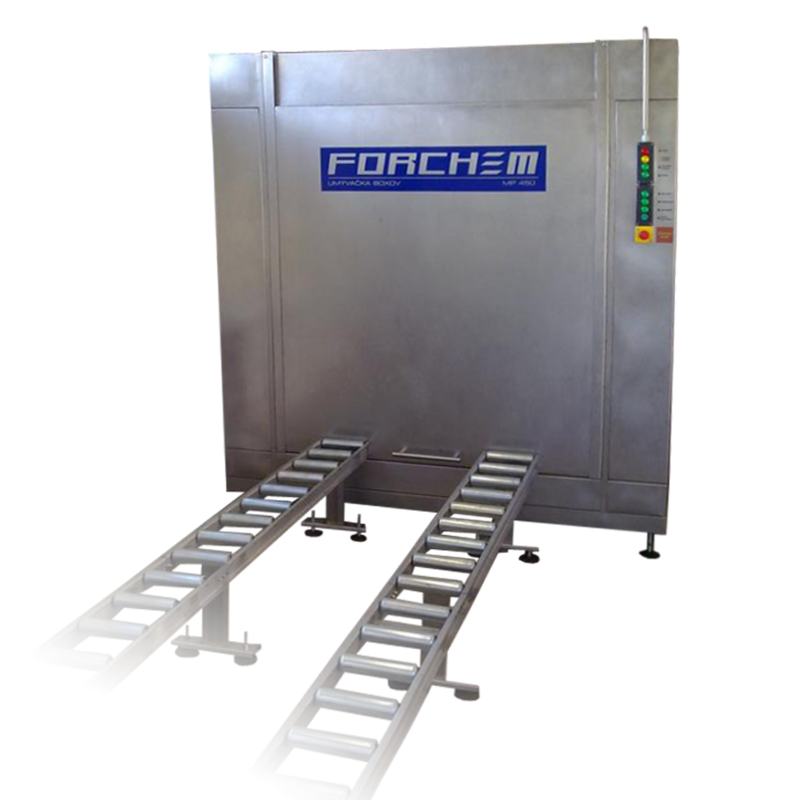 Box washer FORCHEM MP 450 is designed for cleaning huge sizes dirty haulage box used in food and engineering factories. Its real wattage is based on efficient washing system in combinaton with high - tech hydraulic pump and a lot of nozzles which are situated in the cleaning place and in the cleaning arm where is located drying system, too. Through the concentrated power can washer achieve the hygienically clean results despite the high pollution. The whole washer is made from the stainless steal. The washer wattage and the capacity of cleaning place can be addapted to the customer request, because every factory has its individual demands.